As of 10:30 p.m. EDT on Sept. 23, 2011, the orbit of UARS was 85 miles by 90 miles (135 km by 140 km). Re-entry is expected between 11:45 p.m. Friday, Sept. 23, and 12:45 a.m., Sept. 24, Eastern Daylight Time (3:45 a.m. to 4:45 a.m. GMT). 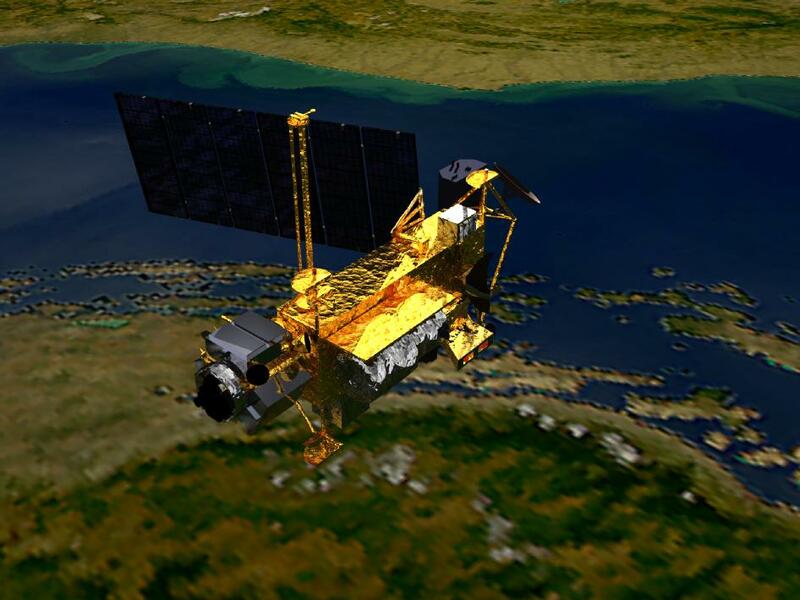 During that time period, the satellite will be passing over Canada and Africa, as well as vast areas of the Pacific, Atlantic and Indian oceans. Solar activity is no longer the major factor in the satellite’s rate of descent. The re-entry of UARS had been advancing because of a sharp increase in solar activity the during last two weeks. Increased solar activity heats up the earth's atmosphere, sending more atmospheric atoms and subatomic particles further into space which causes additional drag on low orbital satellites. The satellite’s orientation or configuration apparently has changed, and that is now slowing its descent, NASA reports. There is a low probability any debris that survives re-entry will land in the United States, but the possibility cannot be discounted because of this changing rate of descent. It is still too early to predict the time and location of re-entry with any certainty, but predictions will become more refined in the next 12 to 18 hours. The range of latitude where UARS is expected to fall remains the same. However, all heavily populated areas of the earth could potentially experience falling debris. FEMA has made preparations just in case UARS fall on the United States.